The Compo Beach Site Improvement Committee is fading away, in our rear view mirrors. The Parks and Recreation Commission — and plenty of Longshore users — have talked for a while about improving the 169-acre park. The crowded area around the 1st tee — with its ramshackle golf pro shop, landfill driving range, helter-skelter parking and dumpster near the Inn — is one area ripe for improvement. 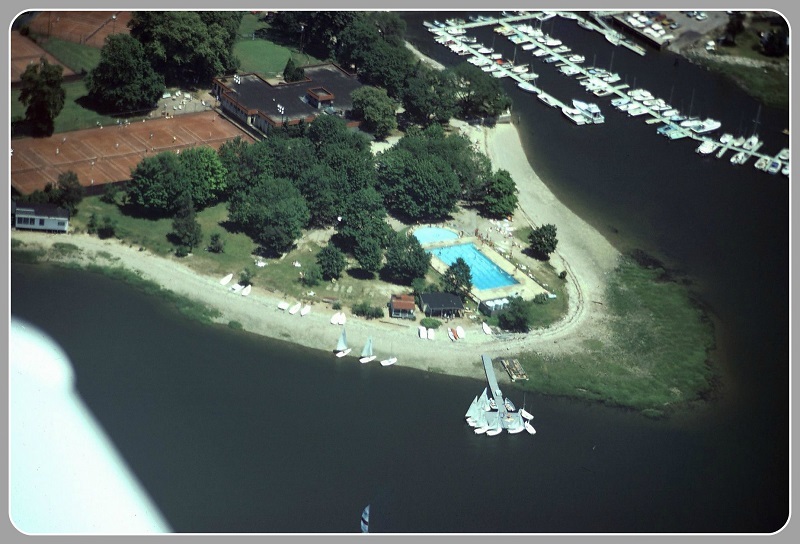 Marina parking, and the maintenance shed sitting smack in the center of things, are other places worthy of examination. Longshore — one of Westport’s crown jewels — includes a golf course, tennis courts, marina, pools, and much, much more. Then there are usage questions. Do we need more paddle courts? Do the pool and skating rink work well? You get the idea. The 2015-16 town budget includes money for a study of Longshore — something similar to what the town did with Compo, says Parks and Recreation Commission chair Charlie Haberstroh. Several constituent groups are already gearing up to be heard. In an email to current and former members, the Longshore Men’s Golf Association board floated the idea of a small new clubhouse — with locker rooms, a pro shop, and an upstairs grill room — taking advantage of water views. There will be plenty more discussion ahead. That’s a given — this is Westport. 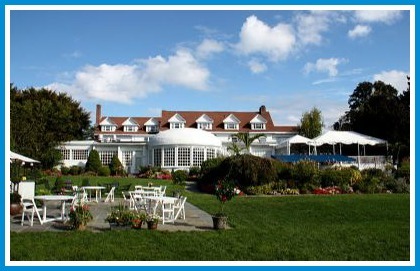 The Inn at Longshore is a major attraction at the park. It sublets space to a restaurant — but right now that space is empty. Meanwhile, a more pressing Parks and Rec concern — as well as for many diners and drinkers — is the status of Longshore’s restaurant/bar. Splash closed several months ago. Though Inn at Longshore lessee Rory Tagert’s lease requires him to run a restaurant, time is running out for this summer. The Inn is reported to be close to an agreement with a new sub-tenant. But permits — including liquor licenses — take time to obtain. A new operator would most likely want to make renovations too. Bottom line: You may be bringing your own food and drinks to Longshore for a while. And when you do, you’ll have time to chew over the Next Big Issue in town: Longshore 2.0. This entry was posted in Beach, Longshore, People, Sports and tagged Charlie Haberstroh, Inn at Longshore, Westport Parks and Recreation Commission. Bookmark the permalink. Why doesn’t this park have a clubhouse? Looking at Rye NY’s public golf course, they have a much-used clubhouse with a large space that can be rented out for weddings, unlike the Inn at Longshore, other than private parties remains grossly under-utilized. I do have vague memories of Little League season ending dinners at Longshore. The menu was always spaghetti and meat balls.